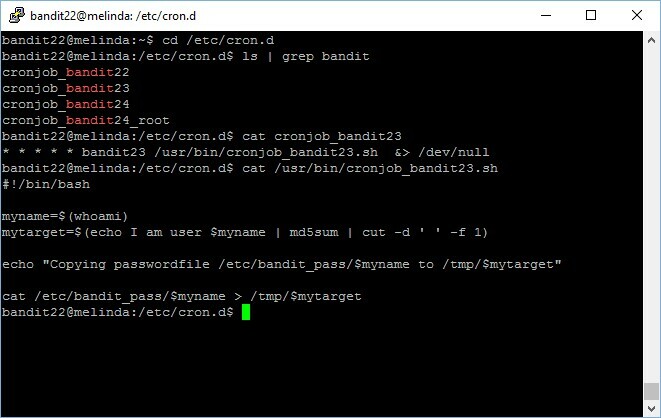 This level is very simple, as hinted by the clue, just navigate to the /etc/cron.d directory and look for the files, you will noticed the cronjob_bandit22 files. Below are the list of files. 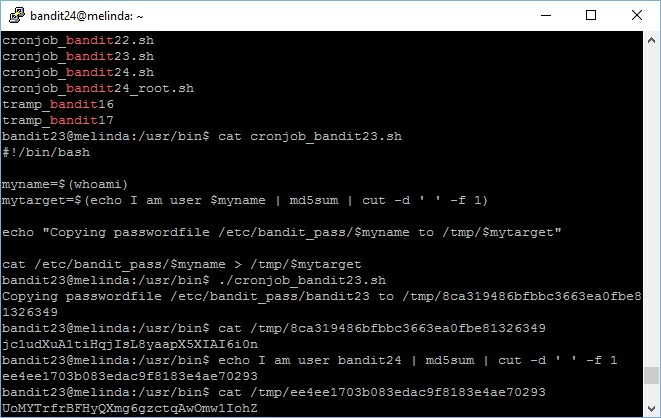 Since cronjob_bandit22.sh is the only file which is related to this level, let’s view its content. The password to gain access to the next level is Yk7owGAcWjwMVRwrTesJEwB7WVOiILLI. 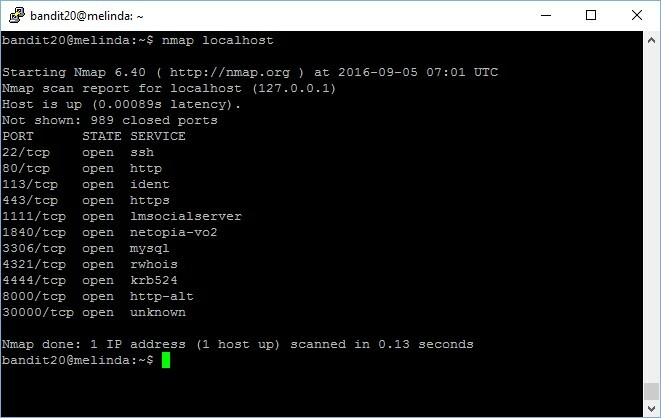 Level goal: There is a setuid binary in the homedirectory that does the following: it makes a connection to localhost on the port you specify as a commandline argument. 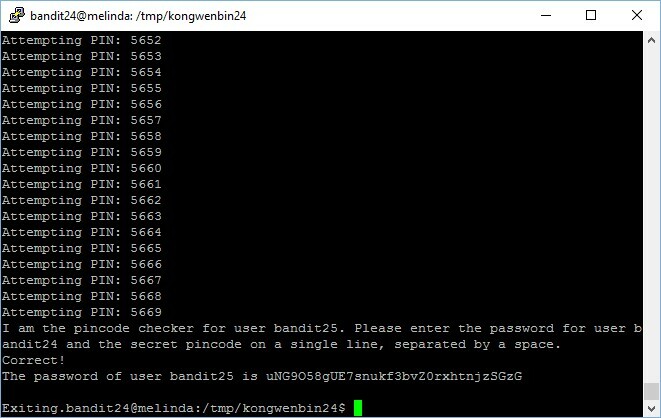 It then reads a line of text from the connection and compares it to the password in the previous level (bandit20). If the password is correct, it will transmit the password for the next level (bandit21). In this level, basically we need to setup a listener service to listen on any port, and then use the binary submit this level’s password to it. If It is correct, it will provide the password to the next level. First, let’s check what are the ports opened. 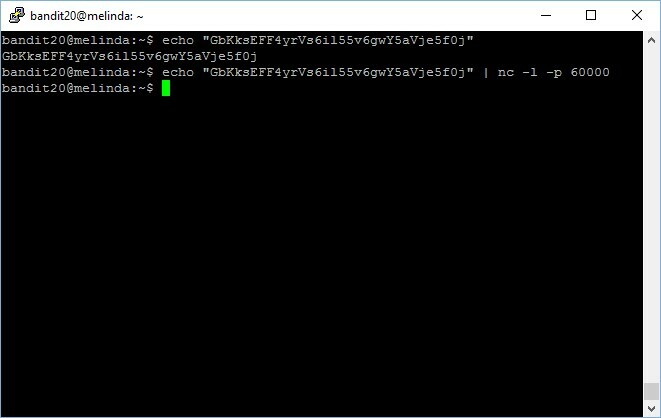 Now you setup your own listener which echo the current level password when any clients connected. Password matches, now the next password is sent to the server listener. The password to gain access to the next level is gE269g2h3mw3pwgrj0Ha9Uoqen1c9DGr.